Nightlatches offer good basic door security. Opened from the outside with a key and from the inside with a handle, nightlatches are convenient as they lock automatically on closing and can be put ‘on the latch’ – locked open with a lever. A deadlocking facility adds extra security; giving the key an extra turn ‘deadlocks the night latch so it can be released with the key from the outside, but can’t be opened from the inside’ foiling the burglar who has smashed the glass to reach in. For optimum security use with a British Standard approved mortice lock. 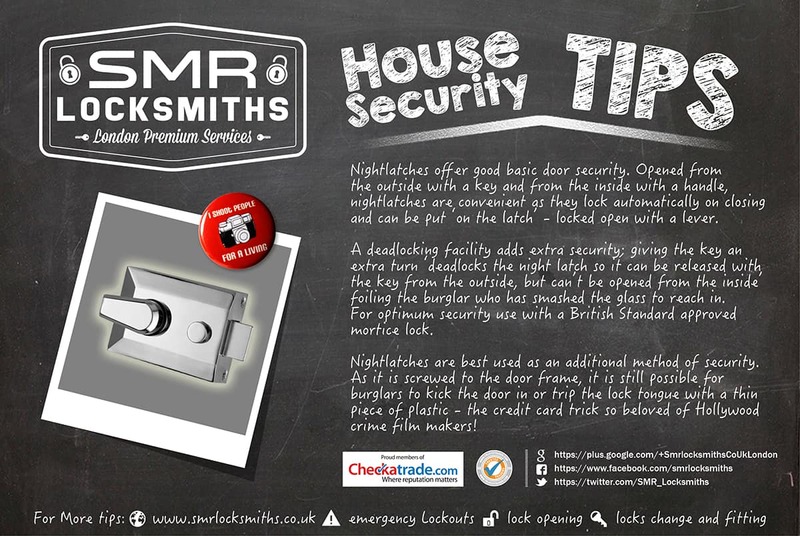 Nightlatches are best used as an additional method of security. As it is screwed to the door frame, it is still possible for burglars to kick the door in or trip the lock tongue with a thin piece of plastic – the credit card trick so beloved of Hollywood crime film makers!